SEAC Sub, founded in 1971 SEAC Sub is a firm that sets the benchmark for diving equipment. Created first by its founders Attilio Rapallini and Marco Arata with the support of Daniele Arata, Marco’s son, this company is strategically positioning itself as the leader of the industry. SEAC is in the process of making impressive changes— from the product line and production, all the way to the corporate level. One thing will always remain True of SEAC Sub; they are an example of excellence. They carefully inspect every single product by verifying quality and testing each product individually. This quality control process has been a part of SEAC Sub since the very beginning. 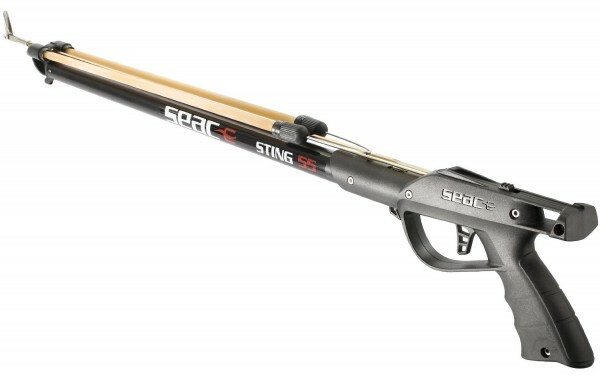 The SEAC Sub Sting Sling Spear guns are a representation of the quality you can expect from SEAC Sub. 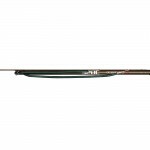 It is a top-level performance spear gun that is simple, practical, and versatile. With incomparable accuracy and power, this solid spear gun is perfect in every way as an entry-level gun. As with any SEAC Sub Spear gun, you will find that the sting model is balanced perfectly. It is easy to load, fire and handle. The Barrel features extruded aluminum with anti-rust feature in order to prevent bending: it allows for durability. The double muzzle allows you to mount one or two slings onto the gun itself, which has been proven to be a very useful feature. The handle has a new anatomic grip with sternum rest as well as line release trigger with a safety catch that is high-strength. It’s made of shock proof nylon. The triggering device is made of stainless steel and has filled polyamide to allow for best features as well as reliability. The sling is amber colored latex that is 16 millimeters in diameter. The shaft is PR80 that is treated with a steel diameter of 6.5 millimeters and thread pitch M7. The line attachment system is directly on the arrow, similar to professional models of spear guns. 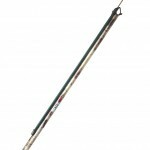 It is supplied with a nylon and polyester blend 7m thread line harpoon. There are four models that range from 45 centimeters to 75 centimeters. It is a great gun offered at an incredible price. The trigger and lock of the gun functions perfectly. It is not too hard or too flimsy. It is just right. This gun is exceptionally high quality, something you can only come to expect from SEAC Sub. 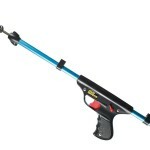 So, if you need an entry-level spear gun at a great price, this might just be the end of your search. 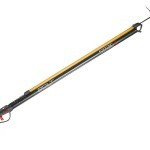 Buy Seac Sub Sting Speargun with Sling on Amazon!